When the mind settles, it becomes a mirror and reflects our own true nature. This clarity fosters healthy relationships with ourselves and the world around us. The workshop takes place over the Winter Solstice weekend. It’s the perfect opportunity and time of year to feel into stillness. Patanjali’s Yoga Sutras offers us practical wisdom. It describes how we can use our yoga practice to calm and focus our minds, allowing us to see ourselves more clearly. In this way we become aware of our habits, and the ways in which we contribute to our suffering. Then we are offered the tools to help us change these habits. In this weekend workshop entitled Finding Stillness, we will focus on key sutras from chapter one. It describes the goal of yoga, and the obstacles we will encounter on our way towards that goal. It makes clear from the very start that yoga is about the mind, and that the mind is our biggest hurdle and at the same time our greatest ally in our pursuit of the goal. In line with tradition, we will begin our explorations through chanting in a call and response fashion. This practice, which we call adhyayanam, encourages us to listen closely, so that we can repeat the sounds to the best of our ability. First we listen to the teacher, then we listen to ourselves. Self observation and reflection is the central theme of the sutras, and this chanting practice provides a wonderful mirror. 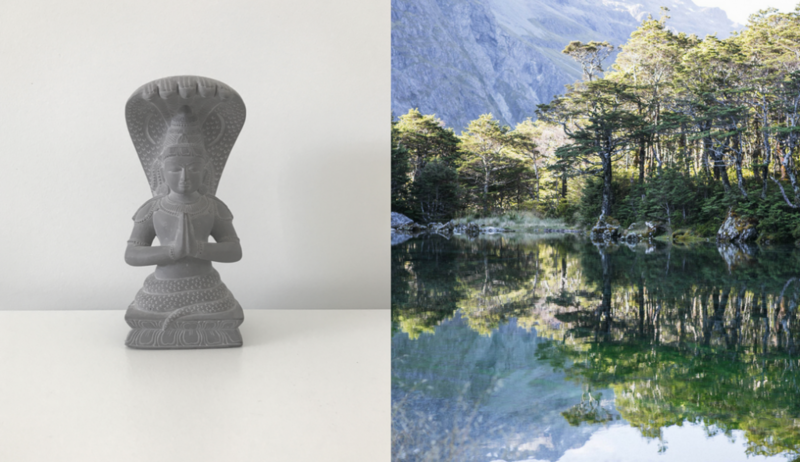 The Sanskrit sounds and syllables carry strong connections to the elements in nature, and can therefore impact us on all of our layers. It is good to ‘feel’ the sutras through the practice of adhyayanam before we satisfy the mind by deciphering their meaning. After the chanting practice, we will look at the meaning of the sutras, and we will see how this ancient wisdom can support us in our modern world. 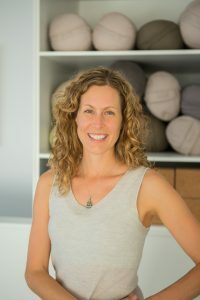 There will be time for discussion and questions as well, so that you can connect to the philosophy of yoga in a personal way. In order to take the learning deeper, we will also do some simple movement practices, incorporating the chanting of key words or phrases. Then you will be offered a delicious restorative pose by Sam Loe, so that you can let go of thinking and allow the experience to settle in your body. 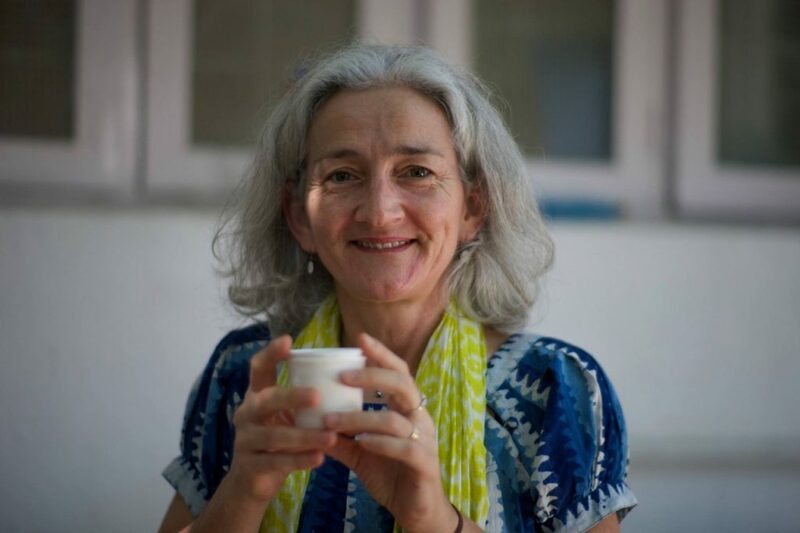 Lynda Miers-Henneveld is a yoga teacher and yoga therapist who lives in Wellington, NZ. She has been teaching yoga for more than 20 years. For the last 7 years, she has delved fully into the Krishnamacharya lineage gaining great insight into the traditional Yoga teachings. Studying the Yoga Sutras in depth has inspired her to find deep healing and purpose. She loves to share the wisdom of the Yoga Sutras and the joys of yoga with students of all lineages and practice levels. All fees are per person and in New Zealand Dollars. When depositing, state your name as the reference, and send an email to samloe@me.com to advise us that the payment has been made. Cancellation policy: refunds are available less a $25 processing fee before 10th of June. No refunds are available after that date, unless we are able to fill your place from a wait list. Please note: your booking is not secured until your deposit is paid. Also your registration is not final until full payment is received. The venue, dates and times are subject to change. If you don't receive a confirmation email within the next hour please email samloe@mac.com or try again. Through my blog I hope my writing can begin to reach out beyond my current location. Whether you are a new to yoga, a long time student, teacher or pregnant mama, may these practices, thoughts, poems, and videos inspire you to switch off this device and take some breathing space for yourself.